This is one of those weeknight meals that looks fancier than it really is. 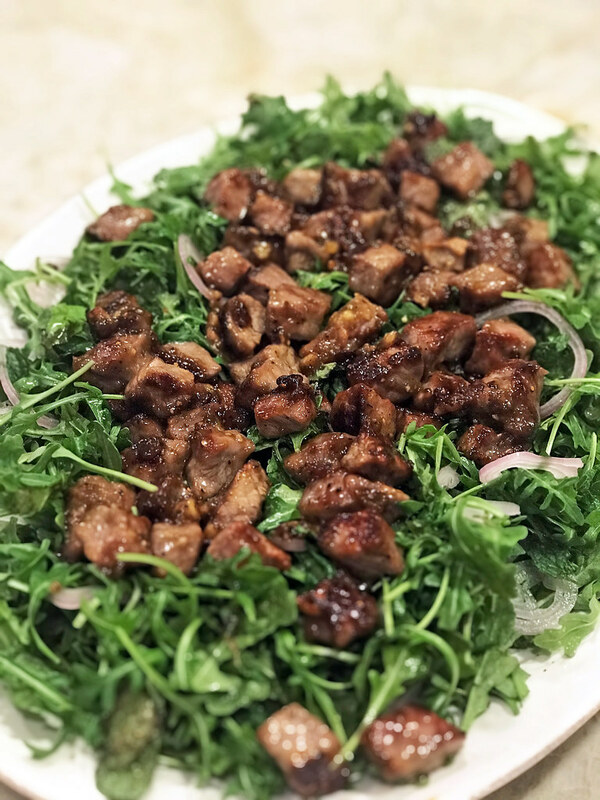 It’s a spin on the Vietnamese classic and requires no rice — instead, well-marbled rib-eye is served on a bed of peppery arugula. Healthy, easy, and delicious: the perfect cooking trifecta. 1. Marinade the beef: Stir together oyster sauce, soy sauce, 1 teaspoon sugar, cornstarch, fish sauce, 1/2 teaspoon pepper, and garlic in a medium bowl. Add beef, toss to coat, and let marinate 30 minutes at room temperature. 2. Make the salad: Rinse onions in a strainer under cold running waters; set aside. Whisk together 2 tablespoons water, vinegar, remaining 1/2 teaspoon sugar, salt, and remaining 1/4 teaspoon pepper in a large bowl until sugar is dissolved. Add onion; top with arugula and herbs and toss to combine. 3. Heat a large skillet over high and add oil. When oil is shimmering, add beef in a single layer. Cook, shaking pan every 30 to 60 seconds, until seared on all sides and meat is cooked through, about 5 to 6 minutes for medium. Remove from heat. Transfer salad to a platter and arrange cooked beef and juices on salad, and serve immediately. 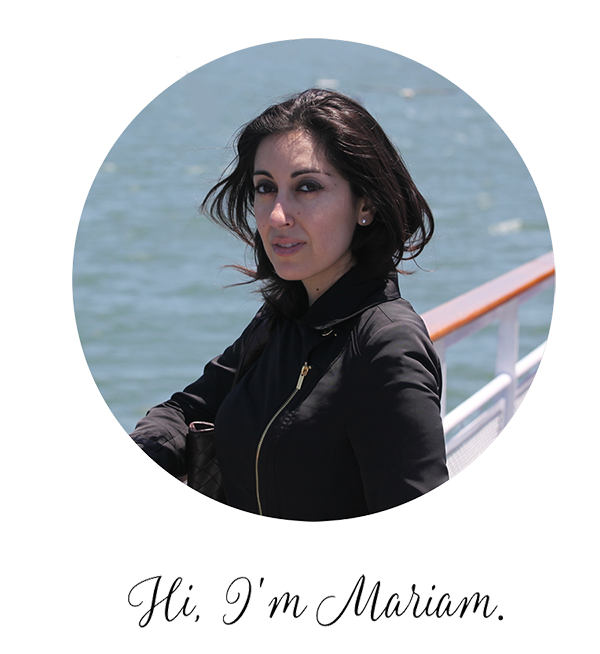 My memories of visiting Iran always included a trip to the Caspian Sea: lush seascapes and mountains, friendly faces, and oh, the food! Fresh fish, grilled eggplant, young garlic, rich eggs — the food of the Caspian stays with you long after you visit. This simple-to-prepare fish entree takes me back to these trips. In this recipe, catfish takes the place of the delicate white fish you’d find in the Caspian region. It’s glazed with a sweet and sour garlicy sauce that’s perfect with rice. I like to serve this alongside a green salt salad for a complete meal. 1. Prepare the dry seasoning: In a wide, shallow bowl, mix together the salt, pepper, turmeric, flour, and golpar and set aside. 2. Rinse the fish and pat dry. 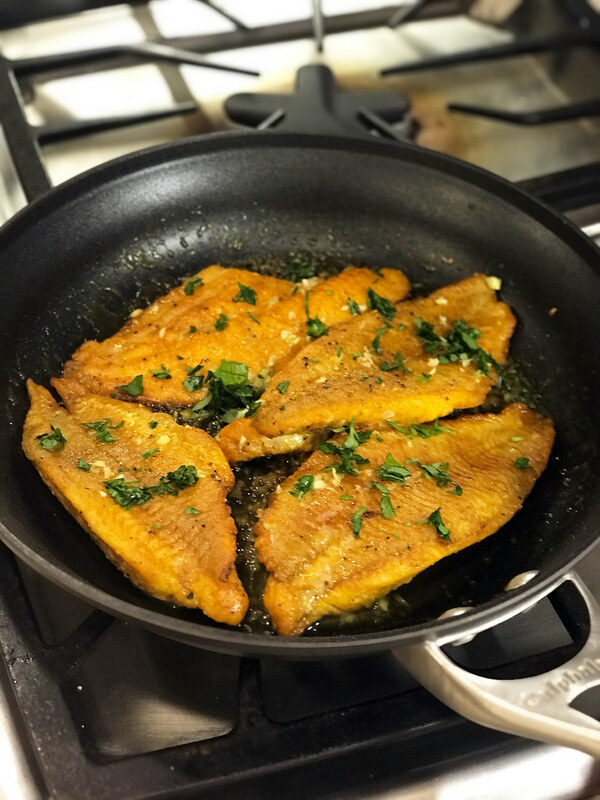 Dredge both sides of the fish in the seasoning and arrange on a plate. 3. Heat the oil in a wide saute pan over high heat until hot. Sear the fish until brown on both sides, about 3 minutes for each side. 4. Reduce heat to low and add the garlic. Saute the garlic for 1 minute. 5. Add the vinegar mixture and simmer for 6 minutes over low heat until the fish is tender. 6. Garnish with parsley and serve with rice. I love frittatas because they’re basically an entire meal in one skillet. 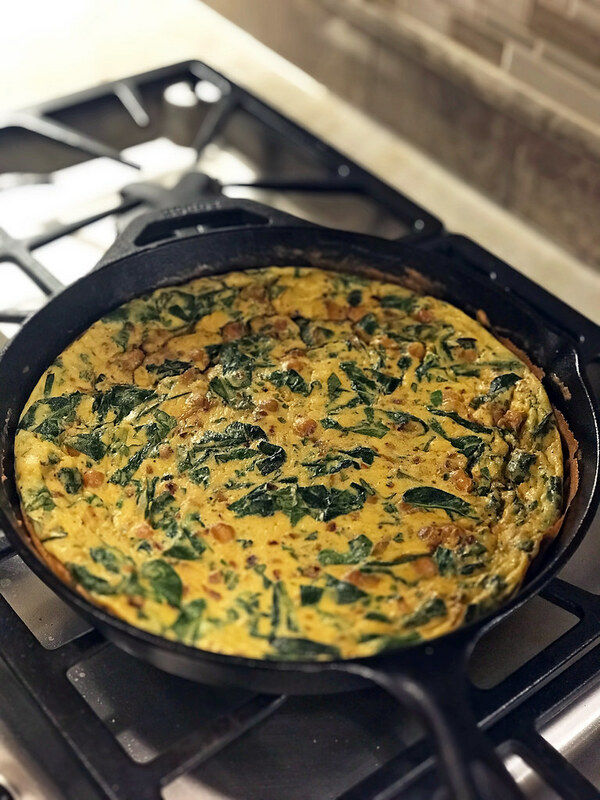 I grew up with frittatas (or kuku, as they’re called in Farsi): herb frittata (kuku sabzi), potato frittata (kuku zibzamini) — you get the picture. But chickpeas? That’s something new. It works beautifully here, along with a healthy serving of kale. 1. Preheat oven to 350F degrees. Whisk eggs, parsley, sour cream, red pepper flakes, and 1 teaspoon salt in a bowl until no streaks remain. 2. Heat 2 teaspoons oil in a medium cast-iron skillet over medium-high. Add chickpeas and curry powder and season with salt. Cook, tossing occasionally, until golden brown, about 8 minutes. 3. Reduce heat to medium, add onion, garlic, and remaining teaspoon oil to chickpeas in skillet and cook, stirring occasionally, until onion is softened and starting to brown, about 7 minutes. 4. Add a handful of greens and tablespoons. water and cook until slightly wilted. Continue adding greens a handful at a time, letting them wilt slightly before adding more, until all greens are wilted, about 5 minutes total; season with salt. Let cool slightly. 5. Return pan to medium-low, pour in egg mixture, and cook, stirring eggs and swirling pan often, until edges are just set (texture should be like a very soft scramble), about 5 minutes. Transfer to oven and bake frittata until puffed slightly and center is just set, about 15 minutes. Let cool 10 minutes and serve. Norooz, or Iranian New Year, means a few things: joyous gatherings with family, spring cleaning, and the celebration of the vernal equinox. Norooz is also about food: fresh fish, rice pilafs and frittatas redolent with herbs and spring greens to celebrate renewal and rebirth, desserts to ring in a sweet new year, and my favorite: ash-e reshteh. Ash-e reshteh is traditionally served on the new year, with the noodles symbolizing good fortune. My mom’s ash-e reshteh is my favorite and this year, I finally learned how to cook it. Chock-full of reshteh (special Iranian noodles), kashk (a fermented dairy product similar to whey), loads of herbs like parsley, spinach, and green onions, legumes, dried mint, and garlic, there’s no substituting here. 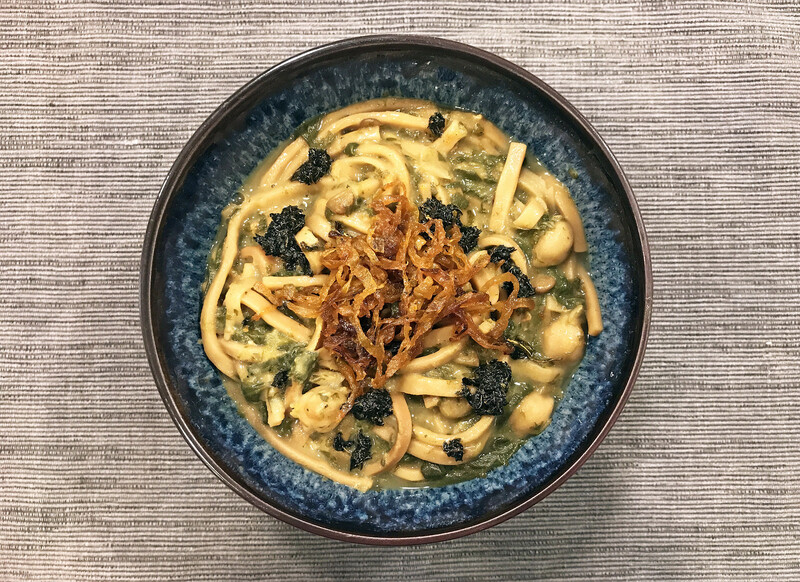 Get thee to an Iranian grocery and make this delicious, meal-in-a-bowl soup to celebrate the coming of warmer weather and new beginnings. 1. Heat 4 tablespoons oil in a large pot and sautee the onions and garlic over medium heat. Add salt, pepper, and turmeric. Once golden, set aside 1/3 of onion mixture for garnish. Leave the remaining onion mixture in the pot and add lentils and chickpeas; saute for a few minutes. In the meantime, heat remaining 2 tablespoons oil in a separate small saucepan and once hot, add the dried mint and quickly saute for 1 minute, being careful not to let it burn. Remove from heat and set aside for garnish. 2. Pour in 10 cups of water and bring to a boil, then add all of the greens, bring to a boil again, reduce the heat, and cook on low, covered, for about half an hour, stirring occasionally. 3. Add the noodles to the pot and cook for about 15 minutes, covered, on low heat, stirring occasionally. At this stage, add one teaspoon of the reserved dried mint oil garnish to the pot. 4. In the meantime, mix 1 cup cold water and the flour in a small bowl and drizzle the mixture into the pot of soup, stirring. Cook for 20 minutes, covered, on low heat, stirring occasionally. 5. Stir in the kaskh, setting aside a dollop or two for the garnish. Mix the kaskh in the pot well. 6. To serve, pour the hot soup into a serving bowl and garnish with the reserved onion and garlic mixture, reserved dried mint mixture, and reserved kashk. When I was a kid I used to take lavash bread, stuff it with leftovers like kababs or goosht koobideh, add some Iranian pickles and Tapatio to the wrap and call it an Iranian burrito. I am, after all, a hyphenated Californian-Iranian. 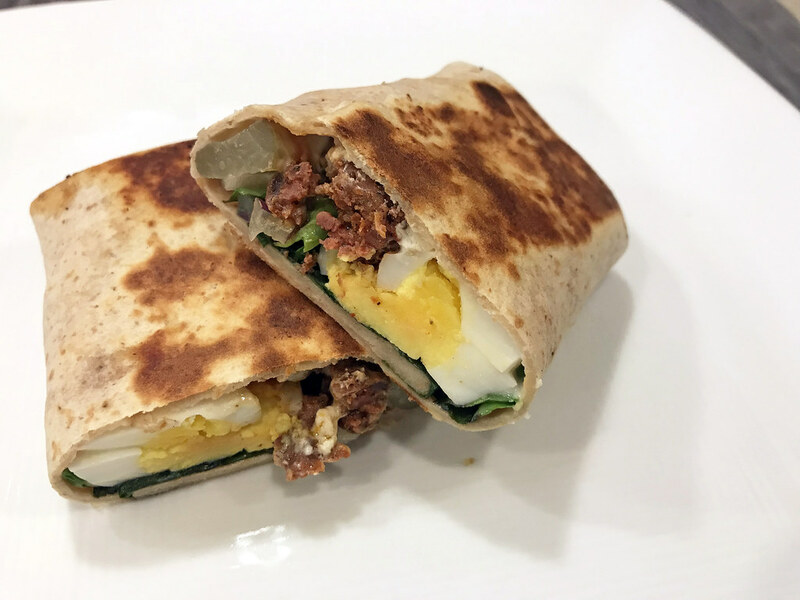 This wrap is the grown up version: a griddled whole wheat tortilla takes the place of lavash, a garlicy yogurt sauce replaces the tapatio, and the filling is all sabzi khordan, egg, and sausage. They’re easy to make and even easier to eat. 1. Bring a medium pot of water to a boil. Add eggs and cook 8 minutes. Transfer to a bowl of ice water with a slotted spoon; let cool. Peel eggs, then slice each crosswise into 4 pieces. 2. In the meantime, mix yogurt, lemon juice, and garlic in a small bowl; season with salt. 3. Heat oil in a large skillet over medium-high. Add sausage and press down on it with a wooden spoon to flatten; cook, undisturbed, until browned underneath, about 5 minutes. Turn sausage over; break into smaller pieces with spoon. Cook until cooked through and crisp, about 5 minutes. Transfer sausage to a bowl. Reserve skillet. 4. Lay out tortilla on a work surface. Spread 1/4 cup yogurt sauce over each, leaving a border. Top with sausage, dividing evenly. Top each with 8 egg slices in a single layer, then with red onion, pickles, and mint. Fold in 2 sides of tortilla and starting at an unfolded edge, roll up tightly. 5. Set reserved skillet over medium heat and cook 2 wraps until golden brown and starting to crisp underneath, about 3 minutes. Turn over and cook until golden brown on the other side. Transfer to a cutting board. Repeat with remaining wraps. Cut wraps in half crosswise and serve. Communications pro, polyglot, foreign policy nerd, world traveler, home chef, voracious eater. More about me here.